Look kindly, Lord, we pray, on the devotion of your people, that those who by self-denial are restrained in body may the fruit of good works be renewed in mind. Through our Lord Jesus Christ, your Son, who lives and reigns with you in the unity of the Holy Spirit, one God, for ever and ever. Hear our prayer. 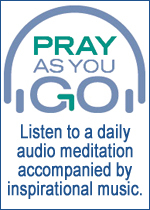 The Wednesdays and Fridays of Lent take on a more penitential tone. Our longing intensifies. We know we have to work hard to resist temptation and to change some of our bad habits. We know that spiritual renewal won’t come easy. But we know that all we will ultimately be able to do will come from God’s inspiration – as a gift. So we ask from a deeper and deeper place in our hearts. We listen to the wonderful children’s story about Nineveh. They responded to God’s word and repented. Dear Lord, I know you receive what is in my heart. Let me be inspired by your words and by the actions of your son, Jesus. 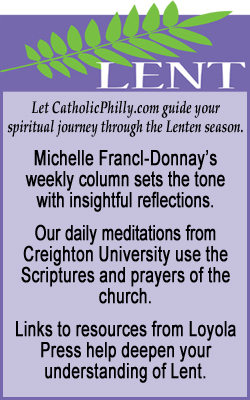 Guide me to make sacrifices this Lent in the spirit of self-denial and with greater attention to you and to those around me. Help me to believe that you will grant me this because of the sacrifice Jesus made for me.